Mohamed Gad is a Medical doctor, and currently a Health Economist in Global Health Development Group at Imperial College London. Mohamed has previously worked as a NICE International Associate, in leading research work that studies the needs and the steps required towards capacity building for Health Technology Assessment (HTA) in healthcare systems for developing Evidence-Based Policy Making capabilities. Mohamed studied medicine and surgery and graduated from Ain Shams University in Cairo, Egypt. He later studied at Erasmus University Rotterdam and Management Center Innsbruck where he acquired his master’s degree in Health Economics and Management. 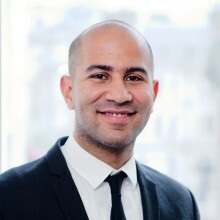 He has aggregated experience working in various global institutes including the Interdisciplinary Center for HTA conjointly with Medical Valley Center of Excellence for Medical Technology, where he published his research work on Accessing the medical devices market in Egypt and Saudi Arabia: a systematic review of policies and regulations. He has also worked at the World Health Organization (WHO) where he participated in developing the 2015 Global survey on Health Technology Assessment by National authorities. Consequently, he participated in the WHO Eastern Mediterranean Offices’ Second Inter-Country Meeting on HTA where the first EMRO-HTA network launch took place. Mohamed is an associate member of the World Medical Association (WMA), member of Junior Doctors Network, and Ex-president & Alumni of Egyptian Medical Students Association (EMSA).